The activation of long-term unemployed and otherwise disadvantaged groups is one of the most important challenges for social cohesion in Europe. These groups are confronted with complex problems (e.g. low income, low qualifications, health, alcoholism or family care), which require multiple employment and social services tailored to individual needs, particularly at the local level. The institutional, organisational and individual dimensions of these social cohesion policies deserve particular attention. 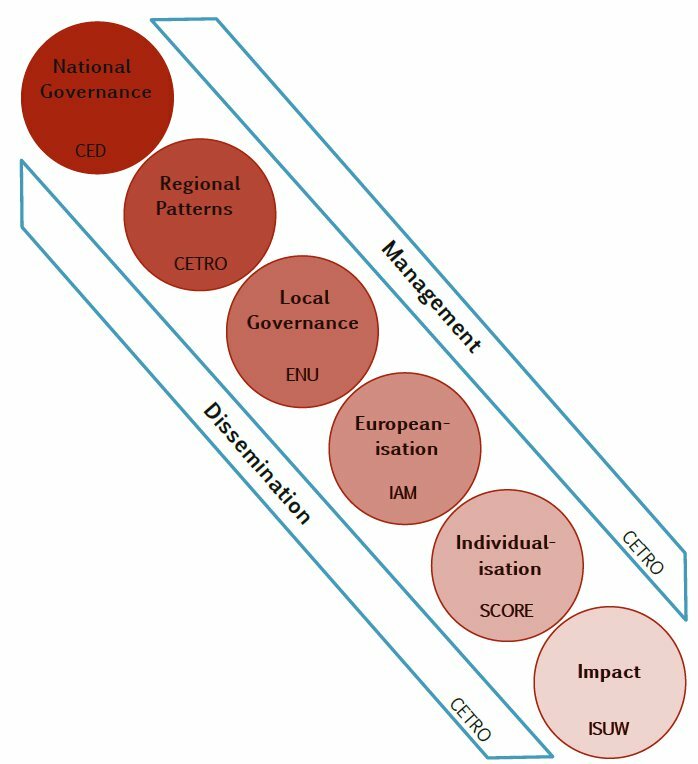 The focus of LOCALISE is to analyse in detail the organisational integration of social and employment policies at the local level and its regional, national and European context as well as its impact on the beneficiaries. 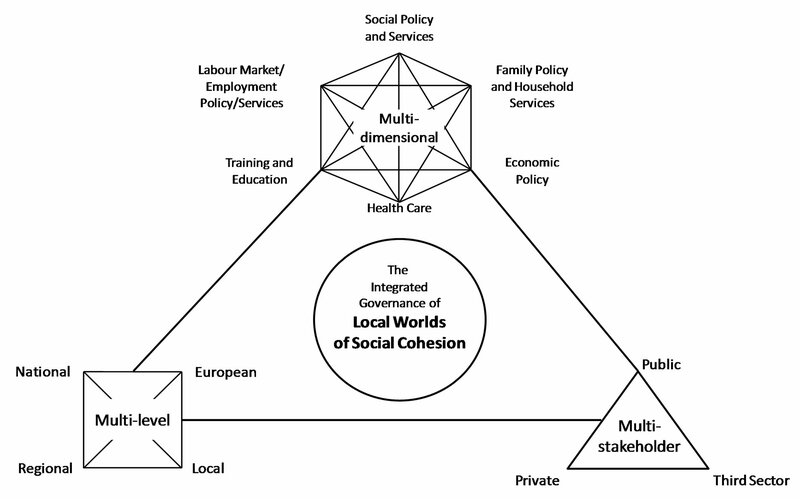 Crucial q uestions are: How do different institutional contexts influence local worlds of social cohesion? How do local actors deal with the conflicts and dilemmas caused by integrated social cohesion policies? What impact do these policies have on social inequality and the conception of social citizenship? LOCALISE brings together researchers and stakeholders from six European countries. 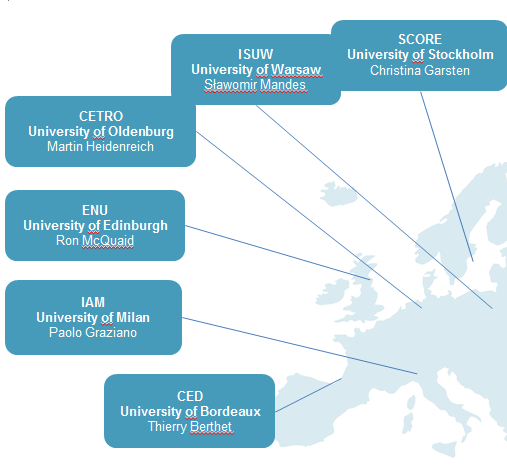 The activities of the European research group take place in Germany, Italy, France, the United Kingdom, Sweden, and Poland. Thereby, the project investigates into a unique combination of European varieties in governing integrated social cohesion policies. Collaborating closely, the six research teams of the LOCALISE group collect, analyse and compare quantitative as well as qualitative data on the local dimensions of integrated social and employment policies. Proceeding in the framework of six contentual work packages, the research activities are strongly dedicated to the dissemination of results. The project’s three-year programme from 2011 until 2014 schedules various outputs in the form of European workshops, summer schools and conferences, international scientific publications and policy briefs as well as regular fora with European, national and local actors of social cohesion policies. In the first part of the project, the LOCALISE research group analyses how European programmes, national governance patterns and the regional socioeconomic context affect the local governance of social cohesion. Proceeding to the main part of the project, the LOCALISE team then studies in-depth how 18 local entities in six European countries cope with the challenges of an integrated social cohesion policy. Finally, the individual effects of integrated social cohesion policies on long-term unemployed and otherwise disadvantaged groups are assessed by the research team.